When I was finished with my World Eaters Dreadnought, I thought it was missing something . . . BLOOD! I normally don’t add blood to my minis but for the World Eaters, I felt it was pretty fitting. After doing some research online I came across a similar technique to this and I thought I’d share as I was happy with the results. 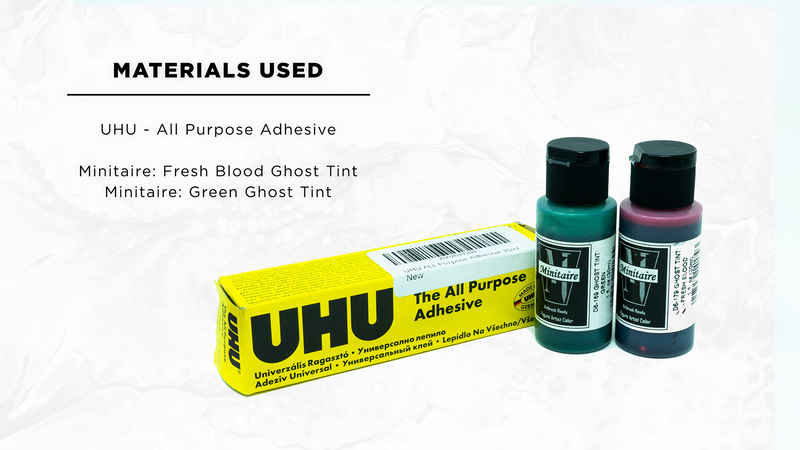 – Some ghost/translucent paints – I’m using Badger Miniaire Ghost Tints. 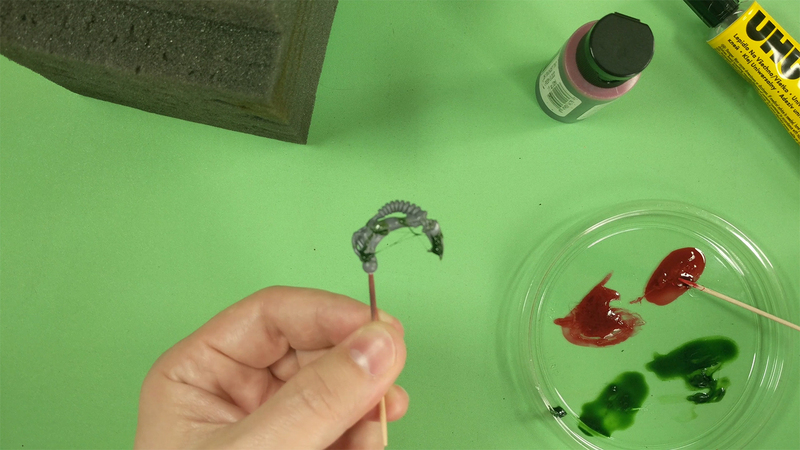 You’ll want to grab an old piece of plastic (like a lid or something) to create the mixture. First put a small dab of the Uhu Adhesive on the plastic, a little bit will go a long way. 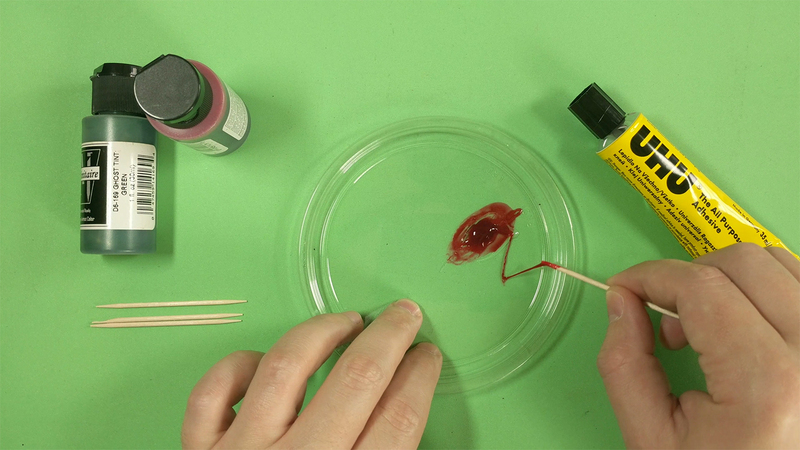 Next take your color, in this case Fresh Blood, and place a few drops into the adhesive. Now take a toothpick and stir the mixture together. It does have a pretty quick curing time so you’ll want to move kinda fast. Mix it until it gets nice and stringy. 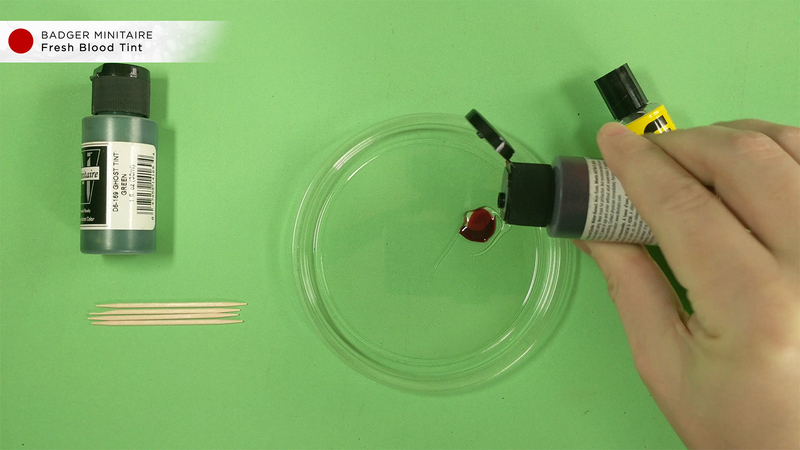 Using the toothpick, drag the mixture across your model. You’ll want to try and have it grab onto edges, spikey bits, etc and drag it along to another point on the model to create the stringy effect. Do this until you’re happy with the result! 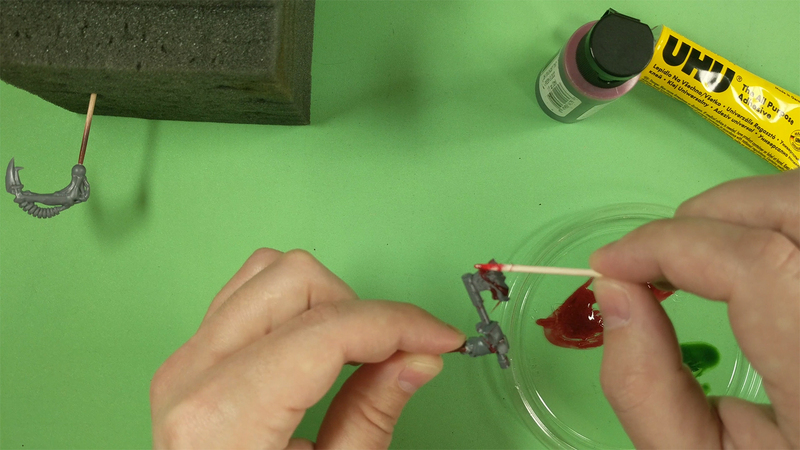 Similar to the blood effect, you’ll want to mix in your green tint paint. 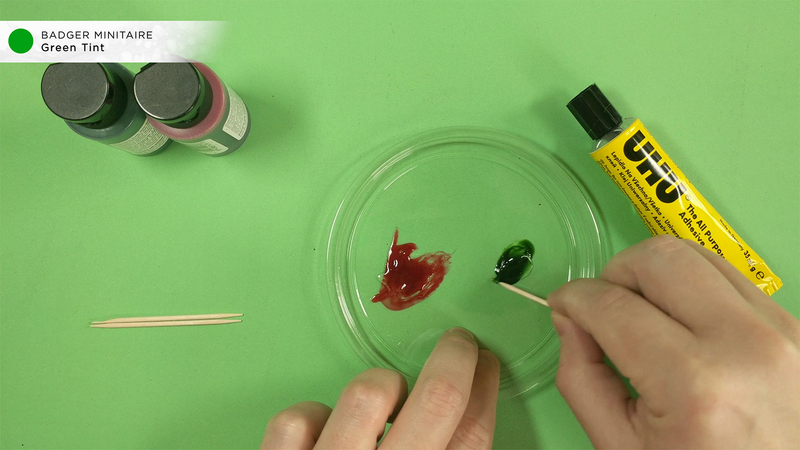 You can also experiment with other colors for other effects or keep it clear for saliva. Here is an example of what the blood effect could look like on your finished model. 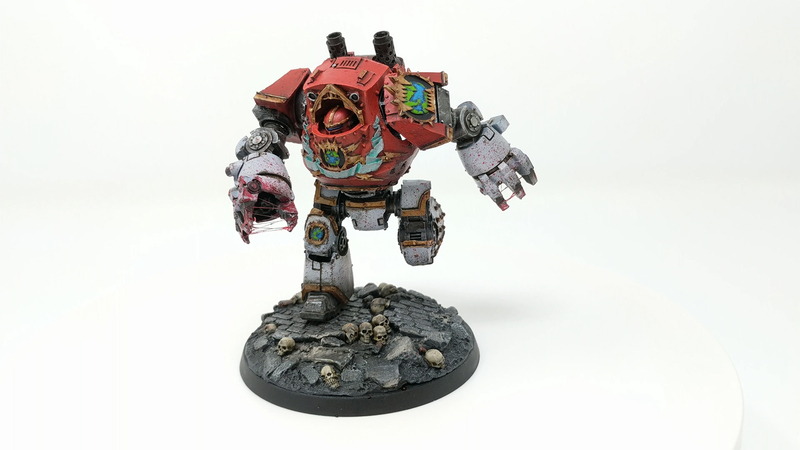 In this case, it’s my World Eaters Contemptor Dreadnought. Hope you find this tutorial useful!